As the historic shift from fossil fuels to renewable energy continues, wind turbines are growing in size as well as number. And now General Electric has announced plans to build what it says will be the world’s biggest offshore wind turbine. From its base to the tips of its rotor blades, the Haliade-X will stand 853 feet tall. That’s more than three times taller than typical wind turbines — which top out at about 260 feet — and almost three times taller than the Statue of Liberty (see graphic below). 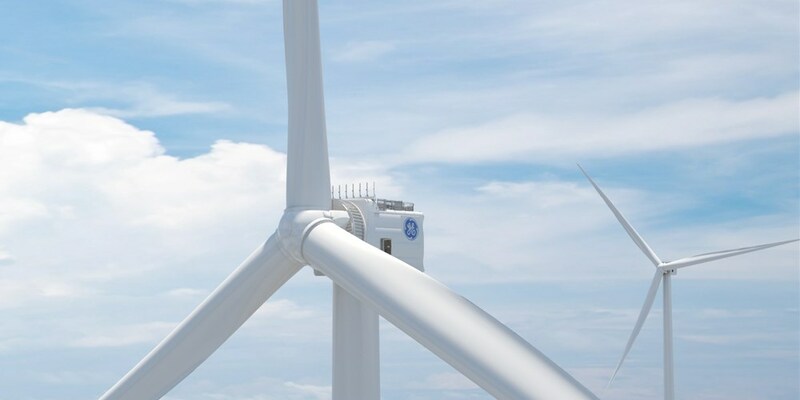 GE says the Haliade-X will also be the world’s most powerful offshore wind turbine, capable of generating 67 gigawatt-hours (GWh) a year under typical wind conditions. That’s 45 percent more than any existing offshore turbine and enough energy to provide the needs of 16,000 households. The company says the new turbine will begin shipping in 2021 but gave no details about where they would first be erected. What explains the move to bigger turbines? Efficiency. The longer a turbine’s blades — the Haliade X’s will be 351 feet — the more wind energy they capture. Larger rotors make a turbine less sensitive to variations in wind speed, which can reduce a turbine’s efficiency. And with offshore wind farms expensive to build and maintain, it makes sense to use bigger turbines rather than more turbines.